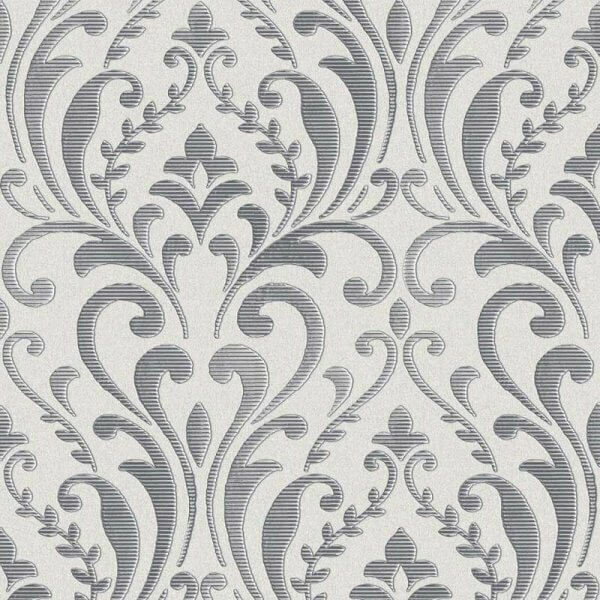 This stunning regal damask design is printed onto a heavyweight Italian vinyl with beautiful shimmering silver background to add real depth to the wallpaper. This stunning regal damask design is printed onto a heavyweight Italian vinyl with beautiful shimmering silver background to add real depth to the wallpaper. 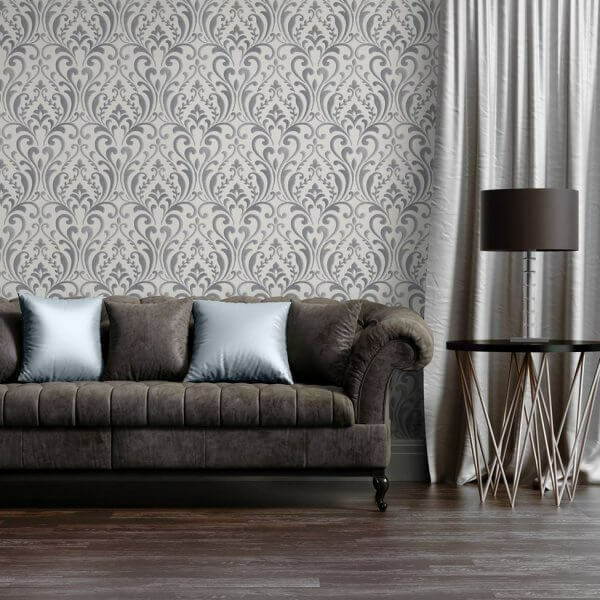 This extra-washable, paste the wall wallpaper is durable and easy to work with making it a fabulous choice for your home!